Time is a precious resource nowadays, this is why Air Moldova appreciates every minute of its customers, offering connections to over 800 destinations worldwide. Comfort and security complement the company's flight, so passengers can plan their vacations and business meetings without any worry. Air Moldova is a team of professionals and associates, joining their forces to ensure that, defeating the distance and time, it brings together and unites people, making them mobile and free, and thereby Air Moldova has become a leader in the airline industry in Moldova. To become the first choice for passenger and cargo traffic to/ from Moldova. The Republic of Moldova is a small country, situated in the Southeast part of Europe, neighbouring Romania to the West and Ukraine to the East. This piece of land boasts a rich history. Its territory is part of the Romanian state Moldova, created in the Middle Ages. Following the Russian-Turkish Peace in 1812, the space between the rivers Prut and Nistru was asigned to Russian Empire, afterwards became a province of the Czarist Russia, which called it Basarabia. With the collapse of USSR, Moldova became independent on 27 August 1991. On 2 March 1992 the Republic of Moldova became a member of the United Nations. The national currency, the Moldovan Leu, was introduced on the 29th of November 1993. The National Bank of Moldova was established in 1991. The Republic of Moldova has a population of 3,5 mln people and is one of the most densely populated European countries. Moldova is populated by different ethnic groups. A breakdown of major ethnic groups is as follows: Moldovans (romanian origine) – 76,2 %, Ukrainians - 8,3 %, Russians – 5,9 %, others (Gagauzians, Bulgarians, Gipsy, Jews, etc.). A high ratio of the population lives in the rural area. The urban population represents 39,7 %. The major cities of Moldova include the capital city, Chisinau (over 755140 people); Balti (127603); Cahul (119 131); Hincesti (119569); Orhei (115828); Soroca (100490); Ungheni(110674); U.T.A. Gagauzia (155711). The Republic of Moldova faces a period of transition to a market economy. In first part of 2011 the GDP was 16.8 mln lei, that is by 8.4% more than in the same period of 2010. The industry is specially concentrated on processing the raw agricultural material, and is also represented by light, chemical, wood processing, machine building industries. The total of industrial production for January-October 2011 increased by 9.1% compare to same period of 2010. The main products imported by Moldova are the natural gas, petrol products, transport means, and equipment. The most part of energetic resources is also imported. In first 9 months of 2011 the export was increased by 64.9%, and import by 41.7%. The investment level in long-term tangible assets was 4.8 billion lei that is by 31.8% more than for same period of 2010. In January-October 2011 transport companies transported around 4.9 million tons of goods – by 24% more than for same period of last year. The state-owned airline Air Moldova was founded by presidential decree of January 12, 1993. Air sub-units based in Chisinau airport provided the basis for the airline. Thus the beginning of the company's activity can be counted down from September 19, 1944, when the first unit of transport aircrafts Po-2 arrived to Chisinau and Moldovan independent squadron started to function. Aside from fifteen aircrafts of Po-2 type operating domestic flights and serving in agriculture, at first there were two Li-2, which operated flights to Moscow, some Ukrainian cities and Black Sea and Caucasus summer resorts. In 1960s some considerable steps in development of the local airline industry were made. 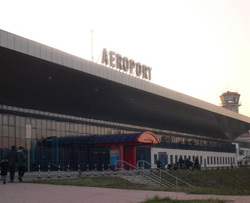 New airport in Chisinau put into operation at the beginning of the decade was able to serve gas turbine aircrafts. The enterprise received status of Civil Aviation Administration in 1965 and new aircrafts of An-10, An-12 and An-24 types enlarged its fleet. Regular flights to many cities of the USSR were opened and transportation of fruits and vegetables grown in Moldova to the largest industrial centers of the country was established. The beginning of 1970s is marked by appearance of jet planes on country's main air lines. Tu-134 started its operations in 1971 and this aircraft type became the main air liner of the enterprise and the total number of them achieved 26. In Chisinau there even was an all-union test basis for aircrafts of this type. In 1972 regional aircrafts Yk-42 and in 1974 cargo aircrafts An-26 enlarged the fleet. The route map kept expanding and flow of traffic grew. Further development of Moldovan aviation was conditioned by introduction of Tu-154. In the middle of 1980s the Administration received ten of them. At that time Moldovan aircrafts flew to 73 cities of the USSR and carried over 1.000.000 passengers per year. In 1990 the first international line between Chisinau and Frankfurt-am-Main was opened. In the beginning of 1990s the restructuring of the Moldovan air industry took place. The single structure was divided into a number of separate enterprises, one of which became airline Air Moldova. The beginning of 1990s was a time of challenge for Moldovan civil aviation. Reorganization of the industry took place at the time of complicated political situation, essential recession in living standards and breaking-off of existing economic ties. The fuel deliveries were irregular. 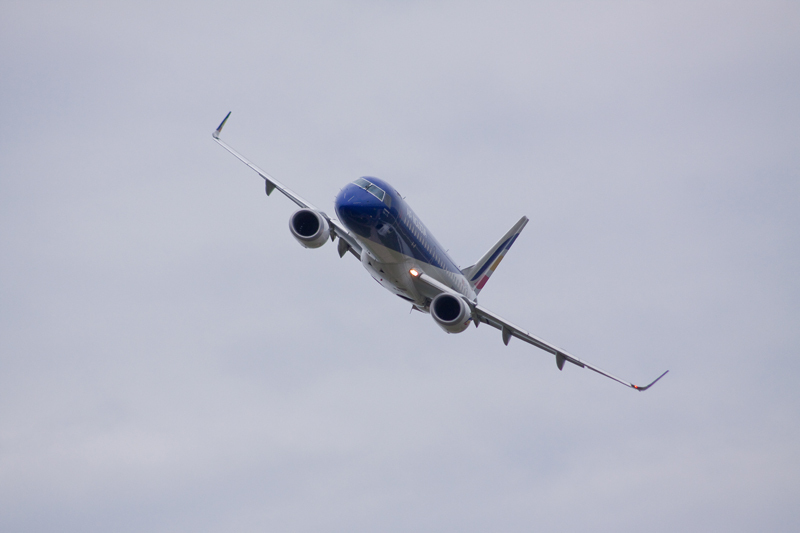 As a result, the demand for air transportation decreased considerably. Economic indicators of air transportation kept falling and were as low as in 1950s. As a matter of fact, there only existed an air connection between Moldova and Moscow and Tel Aviv at that time. Nevertheless the airline managed to hold out against all hardships of the transitional period. At the turn of millenniums situation took a turn for the better. New air routes to European countries were opened. For the first time in the last ten years the airline received new aircrafts. In 2001 modern airliners - Embraer 120 and Embraer 145 were taken on leasing. In 2003 the airline's image was rebranded. 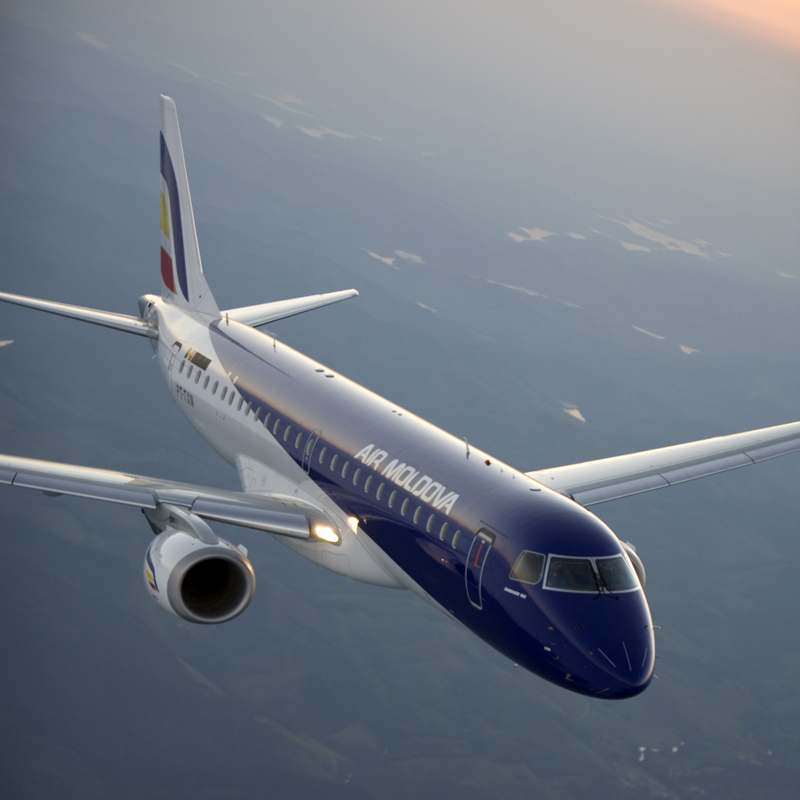 On May, 10, 2010 Embraer delivered the first Embraer190 jet to Moldovan flag carrier Air Moldova. The deal was announced in February 2008 and includes purchase rights for another Embraer 190. Air Moldova’s Embraer 190 is configured in a 114-seat single class layout, the first to feature in this category. The aircraft will serve the airline’s European and Middle East network, operating from the Moldovan capital of Chisinau. The Embraer 190 is the cornerstone of our development strategy - having the right-sized aircraft to open new routes, complementing our current narrow-body fleet and ensuring passenger comfort. 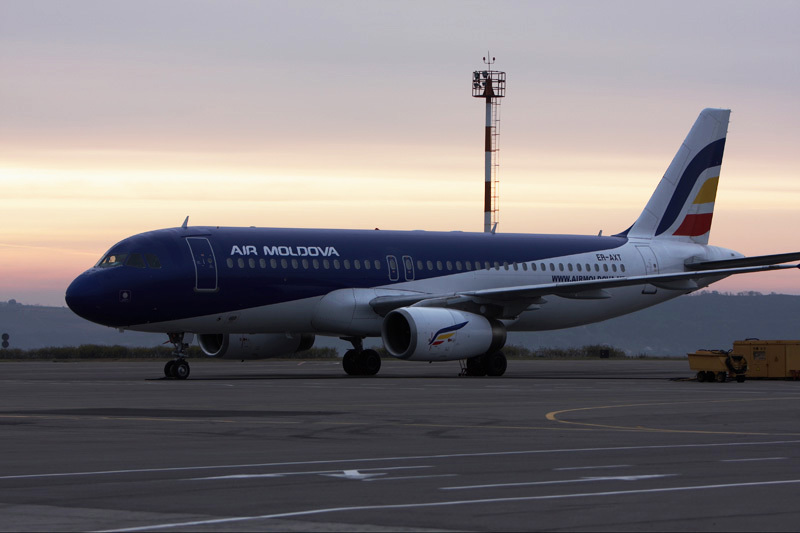 Air Moldova is the national air carrier and Moldovan largest airline. 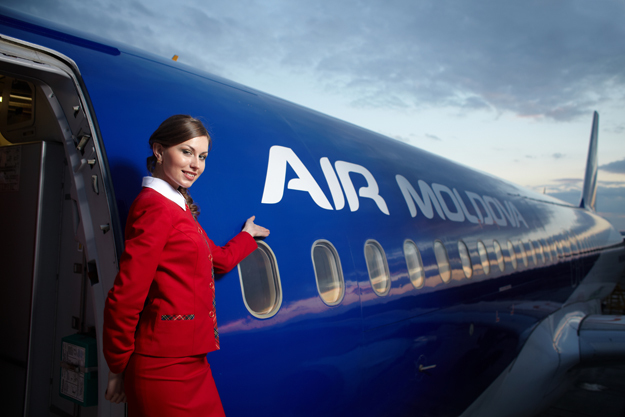 Nowadays Air Moldova is one of Moldovan’s most recognized brands. From its hub at Chisinau International Airport, Air Moldova operates direct flights to 24 destinations. 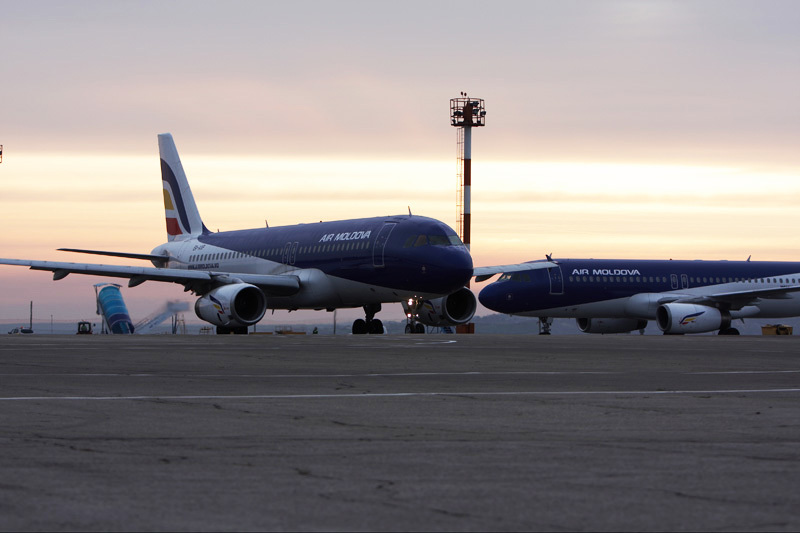 Air Moldova holds 53% of air transportation market in Republic of Moldova. In order to meet the constantly growing needs of its passengers, Air Moldova is increasing its fleet. Fleet replenishment with modern airliners Airbus-320 (the first one was received in September, 2003, the second one - in February, 2004 and the third one – in March, 2009) was a remarkable event, which led to substantial increase in passenger and cargo flow. 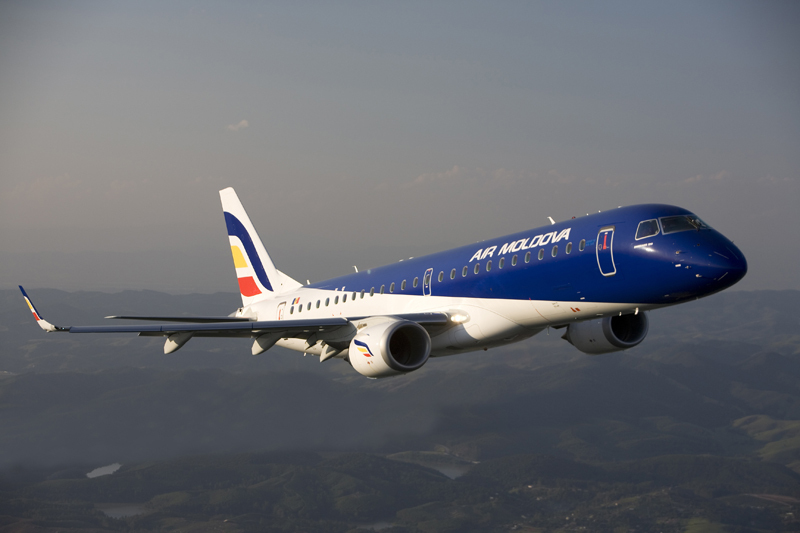 In March 2010, the first time in the history of the Moldovan civil aviation company’s fleet will be replenished with new aircraft - a new Brazilian Embraer-190jet. 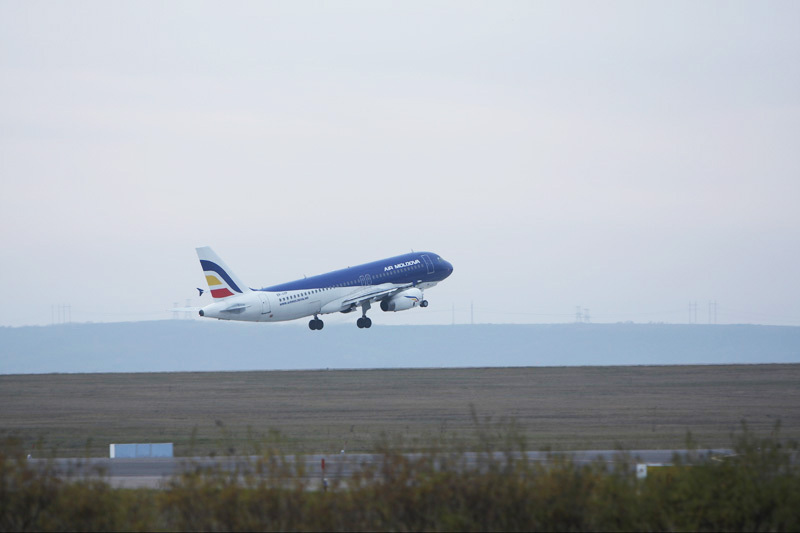 Today, Air Moldova is an airline with an excellent safety record and operational reliability. 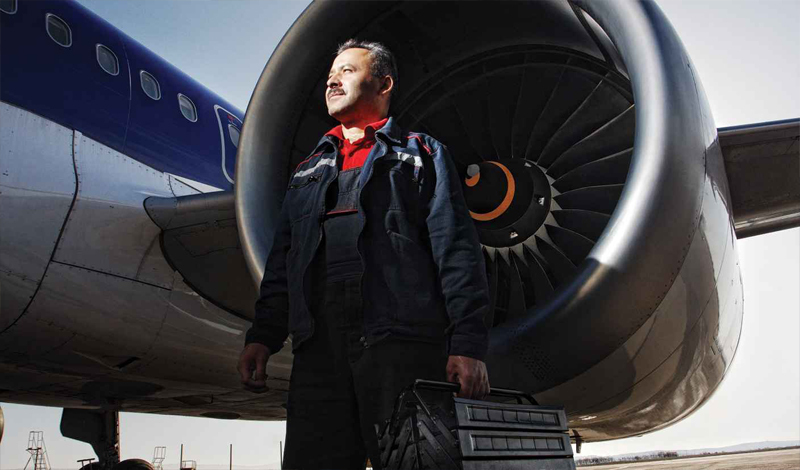 Special quality audits and inspections of flight operations, maintenance, ground operations and training are carried out at least once every year, and Air Moldova’s quality system meets stringent JAR-OPS and Civil Aviation Authority requirements. Auditors are trained in accordance with the international standards in order to fully meet requirements and to provide passengers’ comfort and safety both in the air and on the ground. On July 13, 2004 Air Moldova became a member of International Association of Air Transport (IATA). 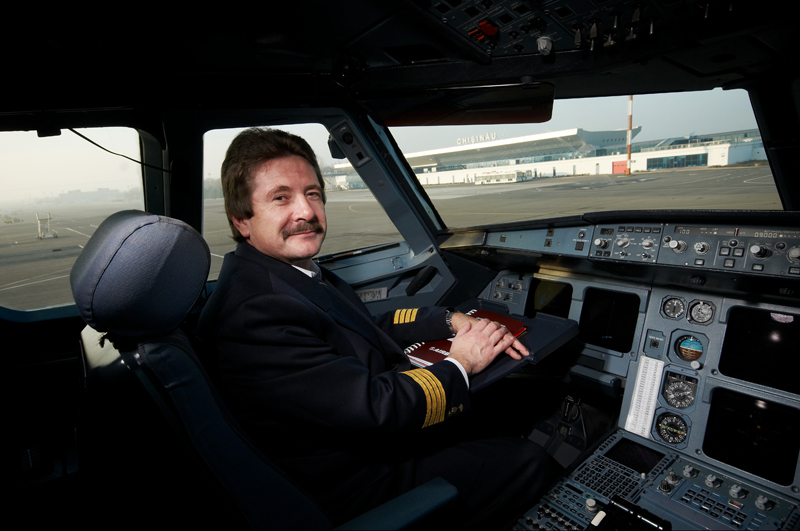 Conditions of becoming an IATA member presume high standards in all aspects of the airline activity. Before becoming an IATA member, Air Moldova underwent audits in fields of operations, maintenance, flight safety and quality systems development. Personnel competence was also assessed in order to make sure that Air Moldova meets high standards set by IATA. In July, 2013, Air Moldova successfully underwent IATA Operational Safety Audit (IOSA) which covers different operational areas as: Management and Control including Safety and Quality Systems, Flight, Dispatch, Maintenance, Cabin, Ground Handling, Cargo and Security Operations. 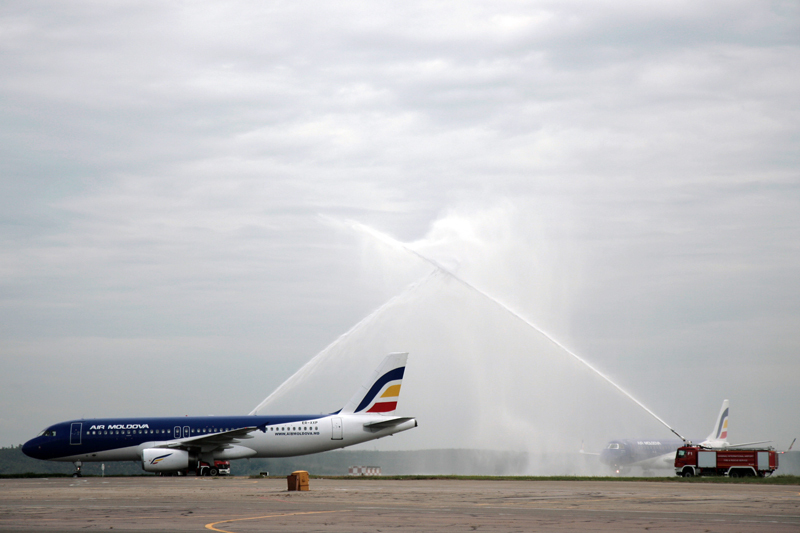 On 15th of December 2004 Air Moldova launched its new product - Air Moldova Club. This is a Frequent Flyer Loyalty Program and is specially designed for passengers travelling often with Air Moldova. It is based on the accumulation of Credit Miles on all scheduled flights operated by Air Moldova and grants special benefits for its most loyal passengers. In July 2011 Air Moldova launched with Victoriabank and VISA new rewording program for its passengers – SHOP&FLY. The cardholders can now spend their bonus-miles not only for free tickets, but for more products and services from program partners. 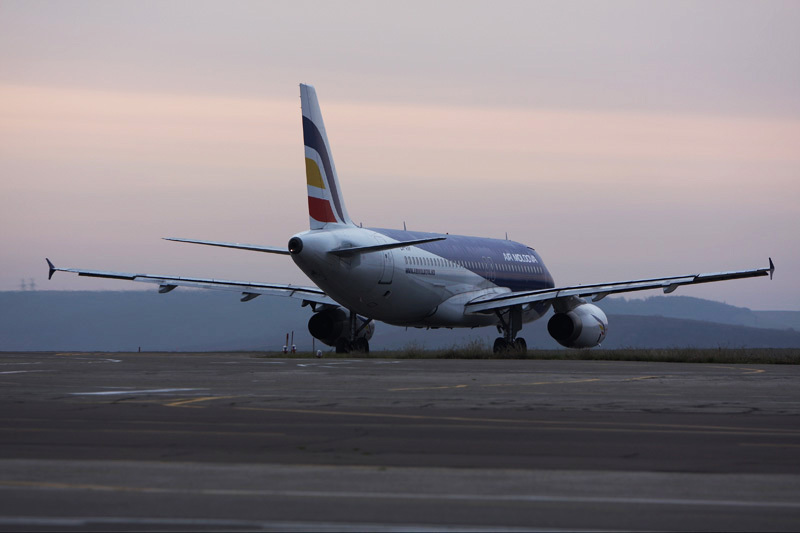 Air Moldova keeps leading positions in e-marketing. 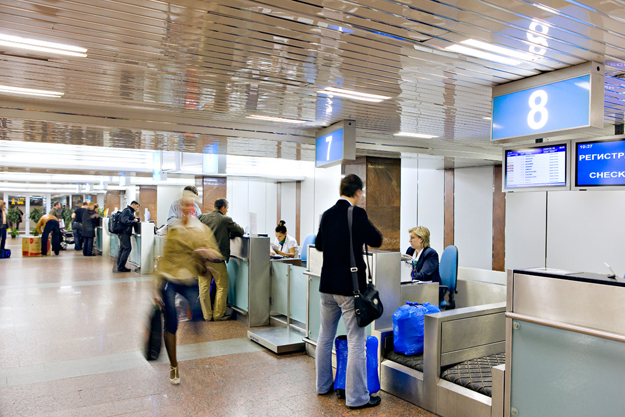 In May 2006, the company implemented e-ticketing on all its flights among the first airlines in CIS. 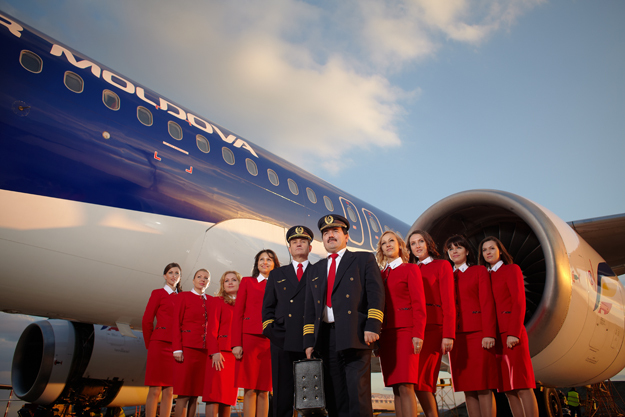 In June 2007 Air Moldova introduced online ticket sales on its web site www.airmoldova.md. On December, 29th, 2008 Air Moldova has been included in the register of the air carriers which have passed IATA Operational Safety Audit (IOSA). Inclusion in the register of the operators who have successfully passed IOSA means recognition of Air Moldova in global aviation community as the safe carrier who is corresponding to the rigorous international requirements. It allows to develop more successfully cooperation with leading world airlines and thanks to interline agreements with them allows to offer passenger air transportation to most cities of the world. Air Moldova has signed around 80 interline agreements with major world airlines, such as Lufthansa, Delta Airlines, Turkish Airlines, Etihad Airways, Aeroflot, Alitalia, El Al Israel Airlines, TAP Air Portugal and others. Thanks to interline agreements Air Moldova can offer its passengers seamless connections and attractive fares to a great number of destinations all over the world. Air Moldova aims to build on its strong track record to expand its facilities and services, and is seeking new international partnerships to help it in reaching its goals. 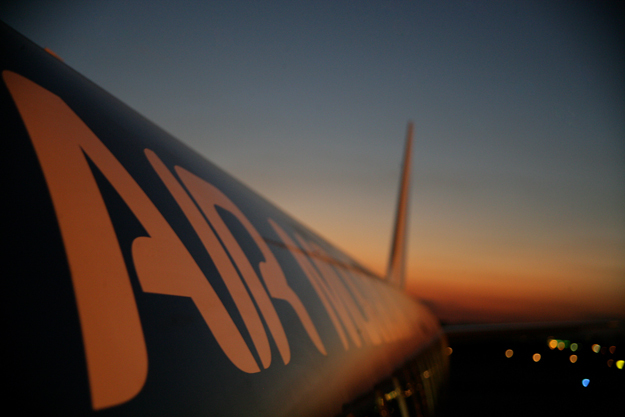 Potential partners will be reassured by the airline’s focus on highest international standards. Our company is going to continue implementation of long-term programs of modernization and expansion of its fleet, to implement airline marketing initiatives, to attract passengers who are new to the Moldovan air market and to contribute to the development of transit hub in Chisinau International Airport. 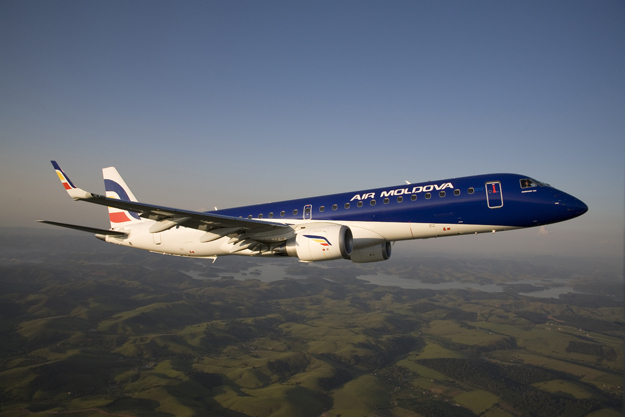 Air Moldova has significantly extended its agent network. Air Moldova is a member of BSPs (Billing and Settlement Plan) of 20 countries – France, Germany, Netherlansd, Great Britain, Greece, Israel, Ireland, Italy, Portugal, Romania, Slovakia, Czech Republic, Spain, Turkey, Austria, Belgium & Luxembourg, Canada, Ukraine, Russia and Cyprus. This means that in any of these countries passenger can purchase tickets for Air Moldova flights from any IATA accredited ticketing agency. In July, 13th, 2009 Air Moldova joined ARC (Airline Reporting Corporation) system, which is similar to Billing and Settlement Plan and allows all Air Moldova customers to purchase tickets for Air Moldova direct and connecting flights on the territory of USA, Puerto Rico, U.S. Virgin Islands and Samoa. 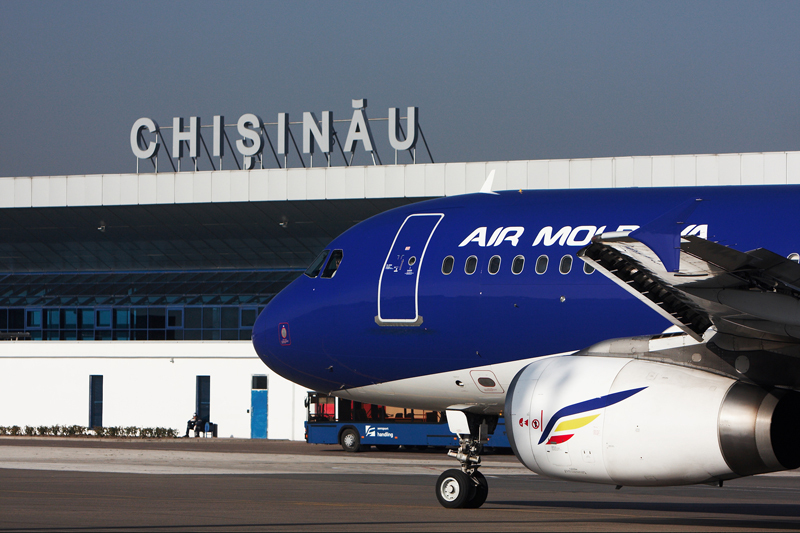 The Base Airport of Air Moldova is Chisinau Airport. 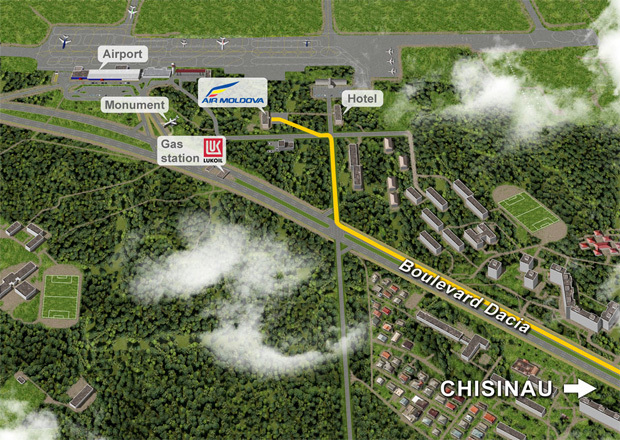 Chisinau Airport is a strategic location, at the junction between the commercial roads of Asia and Europe. Nowadays Chisinau Airport is the main and biggest airport of the Republic of Moldova. The terminal, built in 1970 and upgraded in 2000, has a processing capacity of 1.2 mil passengers per year and 425 passengers per hour. The Airport has one runway (3590 meters in length and 45 meters in width, with the appointed code 4 C) which is operable 24 hours a day. 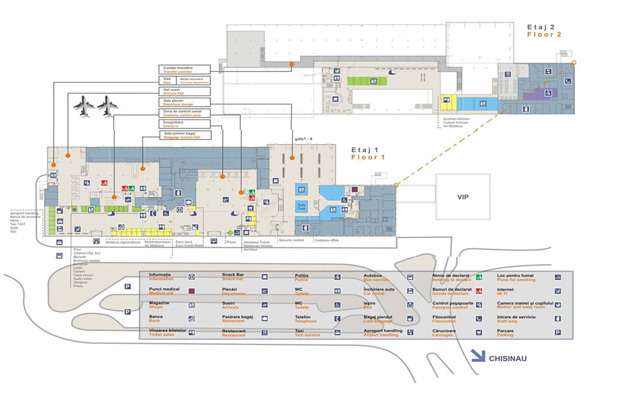 Chisinau International Airport is a member of Airports Council International (European region), the “Airport” Association of CIS Civil Aviation and the ALFA ACI (L’association des Aeroports de Langue Francaise Associes a l’Aeroports Council International). Its adequate location and excellent transport networking turns the Airport into an ideal start spot for tourist and business trips. Chisinau Airport (lATA: KIV, ICAO: LUKK) is the biggest and main airport of Moldova, Eastern Europe. Organized as an integrated complex servicing aircrafts, passengers, cargo and airmail. Taxiway system - with taxiways A1, A2, B1, B2, C1, C2, D and E.
Maintenance area, aircraft de-icing area, fire fighting station, etc. Aprons used by Code C and D aircrafts. 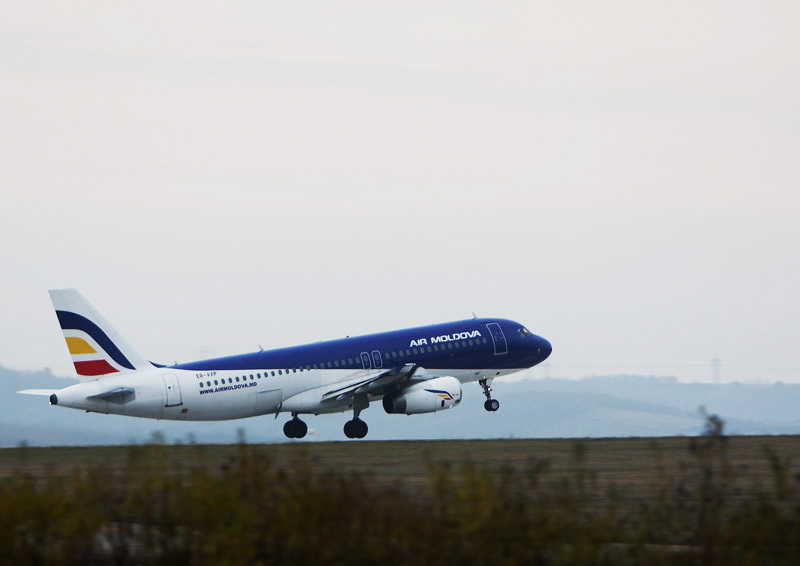 Modern and environmentally compatible – the Air Moldova fleet comprises next types of aircraft – Airbus А321, Airbus А320, Airbus А319 and Embraer 190. 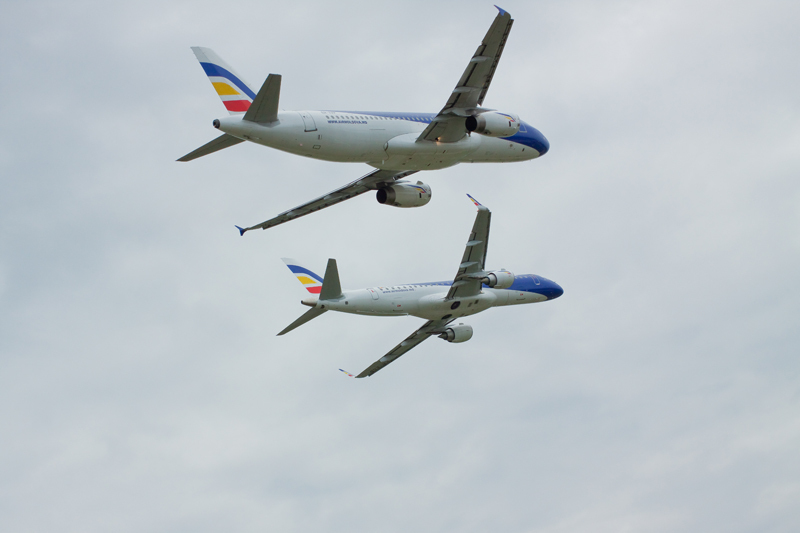 On May, 10, 2010 Embraer delivered the first Embraer190 jet to Moldovan flag carrier Air Moldova. The deal was announced in February 2008 and includes purchase rights for another Embraer 190. 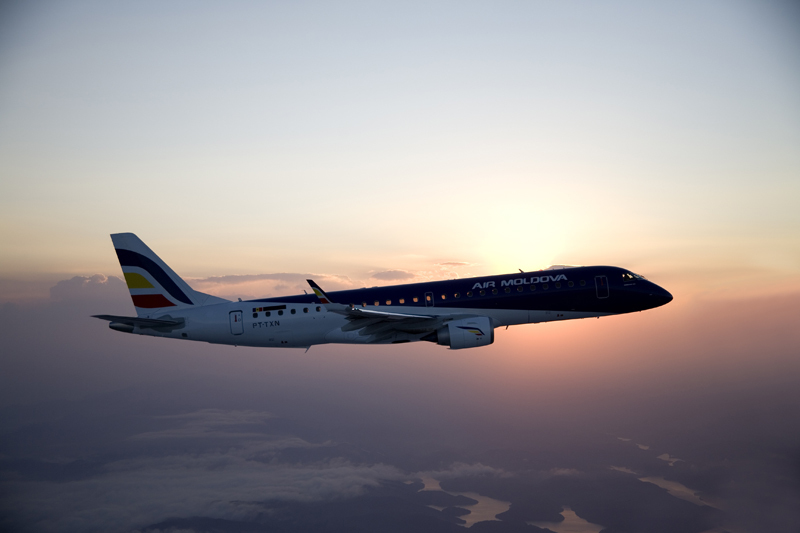 Air Moldova’s Embraer 190 is configured in a 114-seat single class layout, the first to feature in this category. The aircraft will serve the airline’s European and Middle East network, operating from the Moldovan capital of Chisinau. The Embraer 190 is the cornerstone of our development strategy - having the right-sized aircraft to open new routes, complementing our current narrow-body fleet and ensuring passenger comfort. Air Moldova's Aircrafts are subject to technical service in line with modern requirements at Eads Sogerma Services (France), Poly Penauille Service (France). Air Moldova Company operates flights to 25 directions: Athens, Antalya, Barcelona, Bologna,Brussels, Dublin, Verona, Vienna, Larnaca, Lisbon, London, Madrid, Milan, Moscow, Paris, Rome, Saint-Petersburg, Istanbul, Frankfurt, Heraklion, Venice, Turin and Florence, plus the seasonal destinations – Tivat and Corfu. 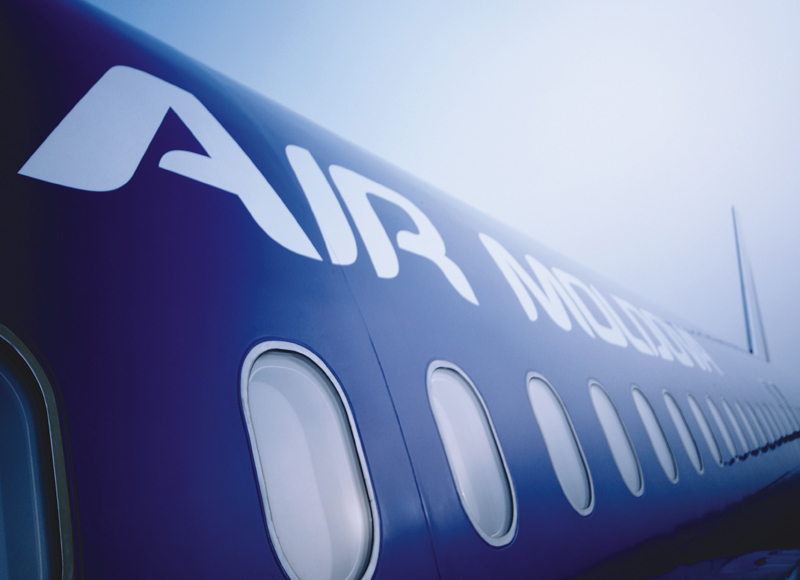 On board of its aircrafts “Air Moldova” offers its passengers two classes of service – Business and Economy. Air Moldova has been vividly deploying its partnership relationships with international airlines, which allows rendering more qualitative services to our customers and expands the geography of our flights. Our customers may acquire a ticket that includes joint carriage to any direction covered by our partner companies. Owing to international partnership, in the sale offices of Air Moldova or at the nearest agents of the airlines passengers can purchase a ticket on the regular routes performed by Air Moldova to Moscow, Frankfurt, Istanbul or any other city and further on a route of our partner company to New-York, Chicago, Hong-Kong or any other direction you would require with convenient connections and attractive cost. At that, passengers don’t have to make calls or to otherwise get in contact with foreign officers — everything is to be made by sales manager operating in your city of residence. Bilateral interline agreements, having been concluded between Air Moldova and other companies to better promote each other's services, always offer our clients numerous itinerary planning options and as well as other advantages such as lower fares, opportunity of getting your entire travel planned and ticketed beforehand, etc. At present, Air Moldova has entered the interline agreements with 80 companies throughout the globe. Special prorate agreements provide for a unique chance for the passengers of Air Moldova to travel via connecting flights of Air Moldova and its partners under prorate agreements to more than 300 cities throughout the globe at the most attracting fares. At present, Air Moldova offers such service in partnership with 23 companies to hundreds of directions. Code-share agreement allows offering new routes to you, as well as selecting flexible schedule of already existent ones. The essence of such agreements is rendering a block of seats for our customers on routes operated by other airlines yet at prices set by Air Moldova. In flight schedule such routes appear under codes and numbers of both airlines. 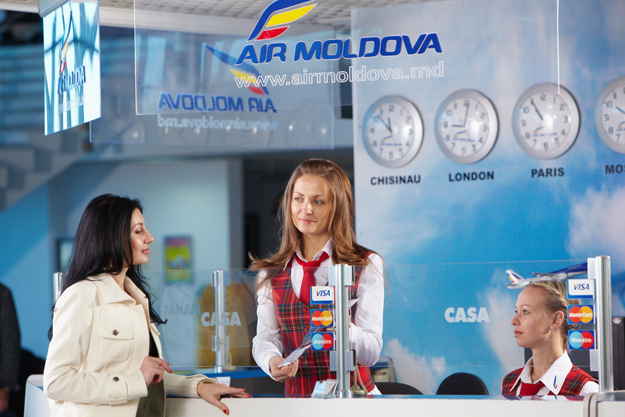 Air Moldova has significantly extended its agent network. Air Moldova is a member of BSPs (Billing and Settlement Plan) of 20 countries – Air Moldova has significantly extended its agent network. Air Moldova is a member of BSPs (Billing and Settlement Plan) of 20 countries – France, Germany, Netherlansd, Great Britain, Greece, Israel, Ireland, Italy, Portugal, Romania, Slovakia, Czech Republic, Spain, Turkey, Austria, Belgium & Luxembourg, Canada, Ukraine, Russia and Cyprus. This means that in any of these countries passenger can purchase tickets for Air Moldova flights from any IATA accredited ticketing agency. 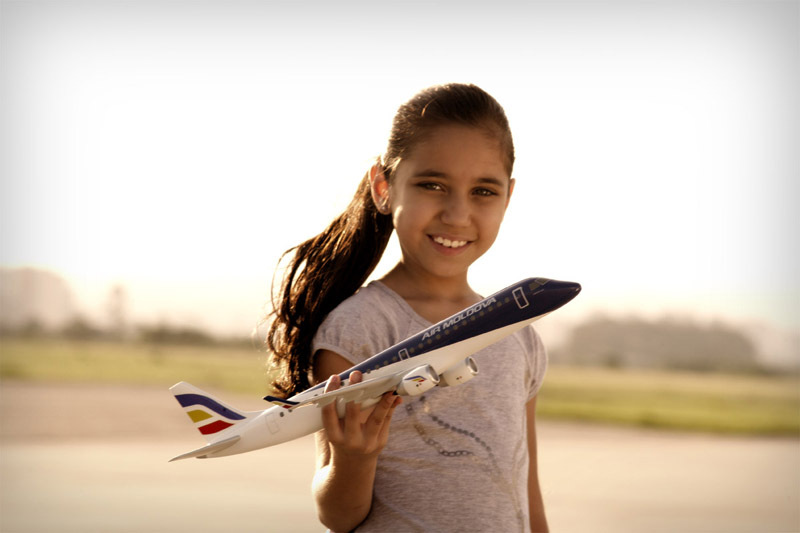 In July, 13th, 2009 Air Moldova joined ARC (Airline Reporting Corporation) system, which is similar to Billing and Settlement Plan and allows all Air Moldova customers to purchase tickets for Air Moldova direct and connecting flights on the territory of USA, Puerto Rico, U.S. Virgin Islands and Samoa. In Russia and CIS Air Moldova offers its transportation through TCH (Transport Clearing House). 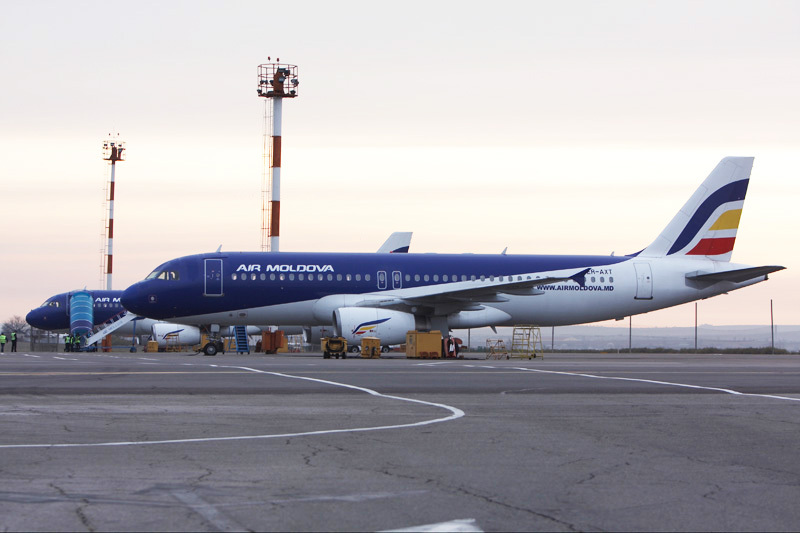 From its hub at Chisinau International Airport, Air Moldova operates direct flights to 24 destinations, offering to its passenger’s two classes of service - business and economy. During the flight economy class passengers are offered catering and soft drinks. The menu varies in dependence of routing, time of flight departure and duration of flight. Business class passengers are offered a higher level of service. 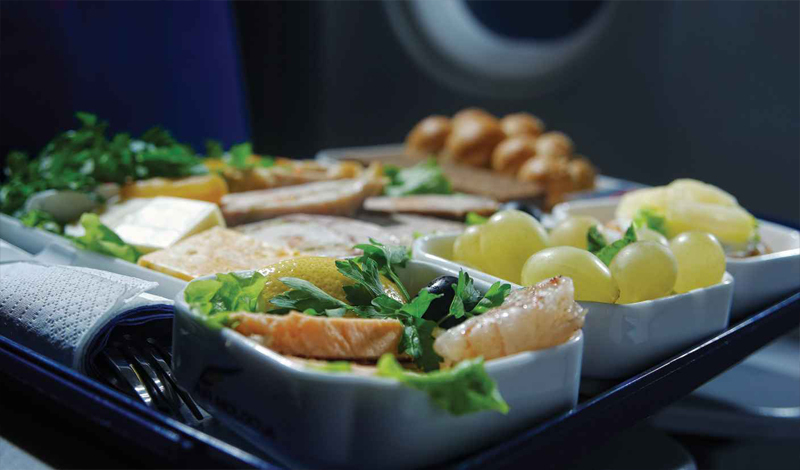 During the flight business class passengers are offered catering, soft drinks, juices and strong drinks in assortment. Diverse menu and drinks will make your flight easy and pleasant. 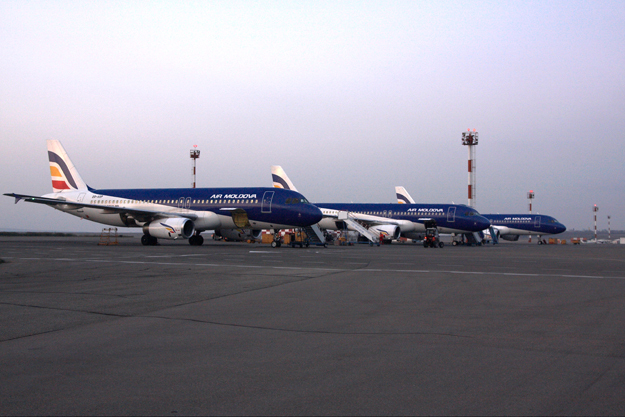 Air Moldova operates charter flights on both types of aircrafts – Airbus A321, Airbus A320, Airbus A319 and Embraer 190. 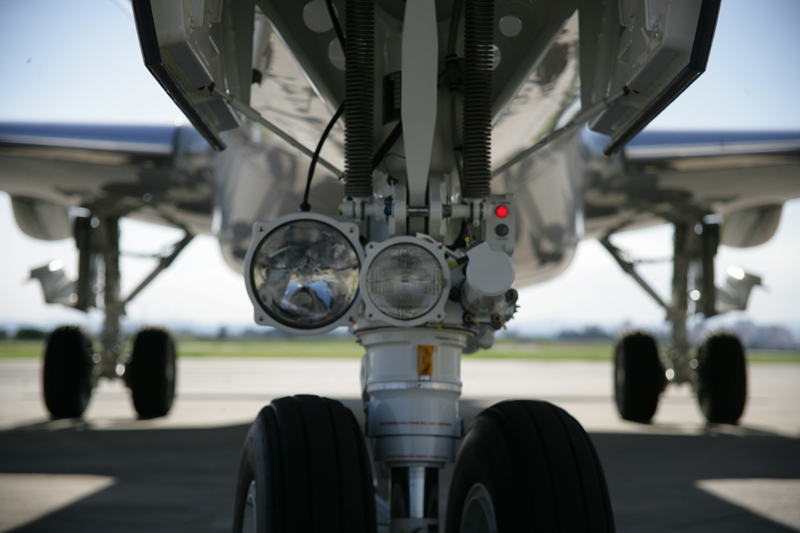 Charters are considered not scheduled flights as they have different particularities. They are hired by a specific tour operator or company for various purposes. There are for one occasion charter flights, used for specific events and there are seasonal charter flights for transporting tourists to their holiday destinations. 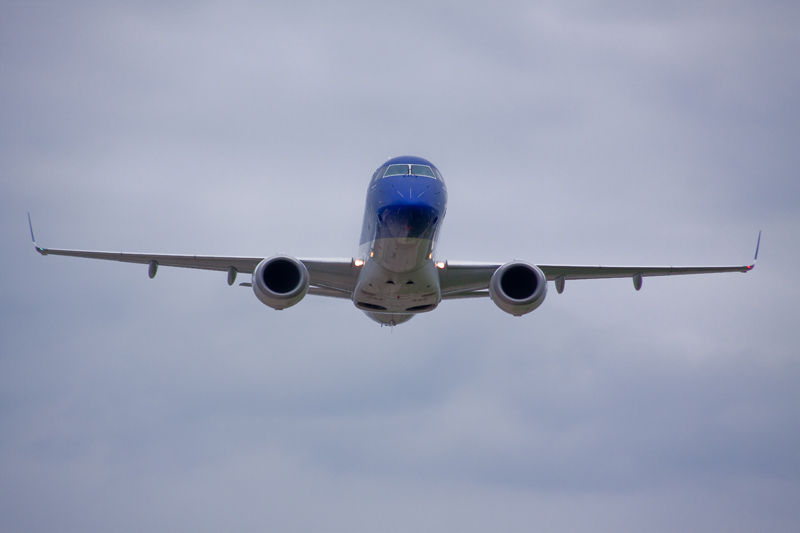 On the charter flights are provided the same standards to passengers as on regular flights. 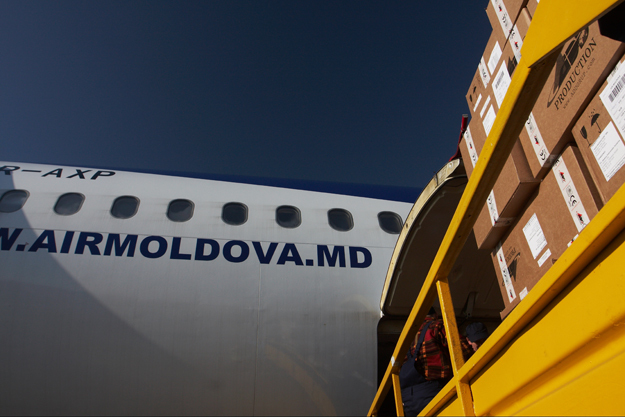 Cargo transportation is one of the main branches of Air Moldova activity. Air Moldova can deliver cargo to almost any destination in the world working in close cooperation with large number of world airlines, such as American Airlines, Delta Airlines, Singapore Airlines, Austrian Airlines, Lufthansa Cargo AG Airlines and many others. 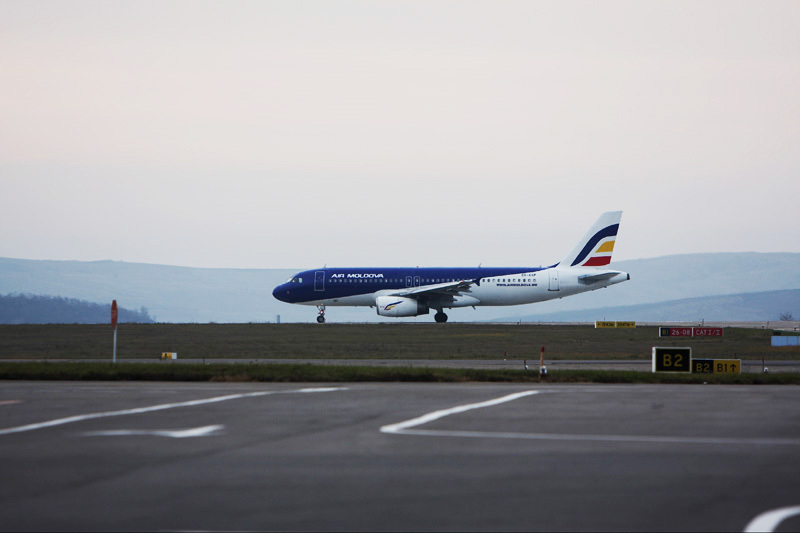 Air Moldova passenger aircrafts – Airbus-320, are able to transport up to 7 tons of cargo in dependence of the aircraft type. Airline's qualified staff provides cargo transportation in conformity with international standards and regulations. Internationally known companies specialized in express delivery of cargo and mail such as "DHL", "FeDex", "TNT","UPS" and others work in close cooperation with Air Moldova and this is an incontestable proof of the quality of cargo transportation services provided by Air Moldova. Due to improved scheduling, and concluded agreements with the largest international airlines, we are now able to offer connections to all major airports in the world. We also offer attractive fares thanks to multiple agreements signed. Air Moldova airline in cooperation with German Railway Corporation Deutsche Bahn AG offers to its passengers a special fares product Air&Rail. Using new Air&Rail fares passengers are able to get to any of more than 6000 railway stations on the territory of Germany using just one single ticket. Special Air Moldova and Deutsche Bahn fares are applicable between Chisinau and Railway Stations on the territory of Germany. Railway transportation is included in the ticket that has been bought by Air&Rail program for destinations Chisinau-Frankfurt or Frankfurt-Chisinau. Separate flight coupon has to be issued for each of outward and return trips for railway part of transportation. Boarding Pass Air Moldova program provides an opportunity to all Air Moldova passengers to use a discount for hotel accommodation in Chisinau upon arrival to Moldova. For participation in the program, passenger should keep his/her Boarding Pass issued at check-in and get in exchange to it 20% discount for hotel accommodation in any hotel participating in the program. Boarding Pass Air Moldova program is our way of thanking our passengers for being customers of Air Moldova. At the moment there are 15 hotels-partner of the program. The list of hotels-partners of the program Boarding Pass Air Moldova can be find on the company’s web page www.airmoldova.md . All flights are operated via Air Moldova hub in Chisinau. Air Moldova has introduced a new service – online hotel reservations on company’s web site www.airmoldova.md. 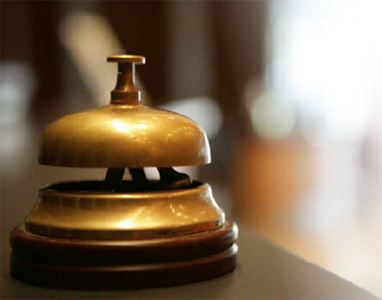 We now offer over 230 000 hotels of Hotel Reservation Service system (HRS), from self catering to all inclusive. Customers can choose from top branded hotel groups as well as independent properties, whatever their taste or budget. The advantages for customers are: direct on-line reservation - fast, simple, secure and free of charge in just 3 steps; flexible cancellation conditions - changes and cancellations can be made on the day of arrival; same-day booking of hotel accommodation until midnight; availability in real-time - hotel lists show only the hotels that have genuine vacancies. On-line hotel booking is safe - no advance payment necessary because HRS customers always pay at the hotel. Air Moldova has launched a new service – Book online, pay cash. 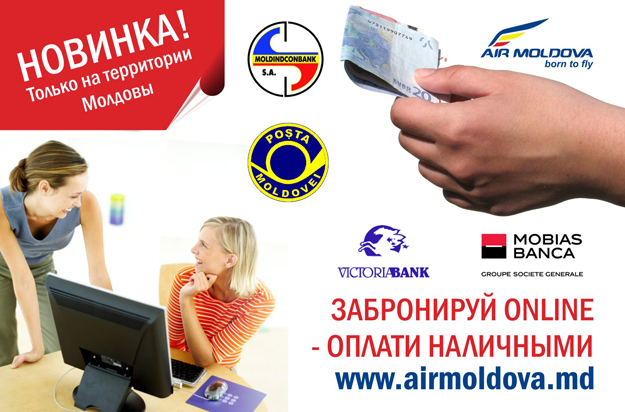 New service allows those passengers not holding Master Card or Visa credit cards with the help of which tickets can be purchased online, to book air tickets on web page www.airmoldova.md and to pay it in cash at all post offices on the territory of Moldova or at any representation of the following commercial banks: Moldindconbank, Victoriabank, Mobiasbanca and Agroindbank. The whole procedure of booking online takes around 1 minute. To use the service Book online-pay cash, customer should follow standard procedure for purchasing online and in section Forms of payment to choose the form of payment invoice. Upon clicking on Forward, customer is going to the following page with the bill which he will receive automatically to the e-mail address indicated during the registration. Printing the bill, customer can pay it by cash. Upon payment customer is going to receive itinerary receipt that should present at the check in. Air Moldova airline continues to implement new standards of service and offers new service for all business-class passengers - free departure business lounge in all airports to which the airline operates scheduled flights. This service has become possible due to signing of special agreements with international airports as well as with some partner-airlines. In dependence of the departure airport, business class passengers will get free business lounge - for this, the passenger needs either to present the boarding pass for Air Moldova flight to Chisinau or the passenger will get a special voucher at check-in. The Air Moldova Club programme is our way of thanking passengers for being a loyal customer of Air Moldova. The Air Moldova frequent flyer program has been specifically designed to award our most loyal customers with increased benefits and awards. The Air Moldova Club programme is based on accumulating awarded Credit Miles on all your future flights with Air Moldova. Because among our loyal customers Air Moldova has many Corporate clients, and not only Individuals, this programme gives the opportunity to reward and our Corporative customers as well. The start of the Air Moldova Club programme is the next step of Air Moldova to improve its service level towards passengers. 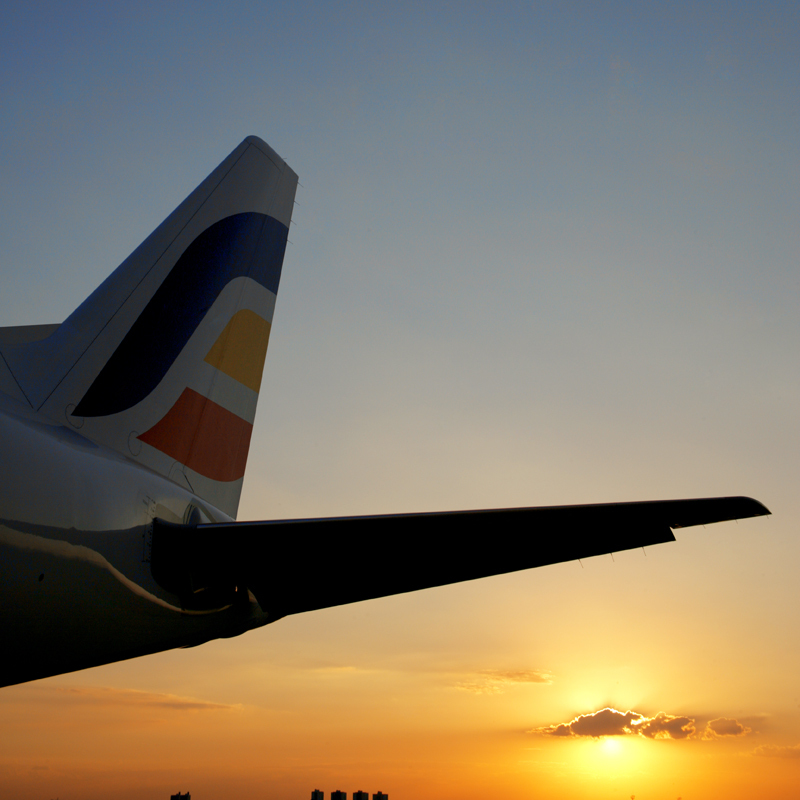 Membership to the Air Moldova Club programme is free of charge. Any person aged 12 years old or over, as well as corporations, can be enrolled as a Member. Every traveler who would like to become a Member of Air Moldova Club will have to fill in an application form that can be founded on official site www.airmoldova.md or to send the passport copy on email address ffp@airmoldova.md. When a passenger become an Air Moldova Club Member, Air Moldova has the pleasure in offering a welcome gift of 300 Credit Miles. After Air Moldova Service Centre has processed the Member’s application form, the Member will be assigned personal number and a personal account will be opened into his name. The member will receive on email address stated in his application form his PIN number and his card number. The member should mention to his travel agent this card number each time he purchases the ticket. As soon as he accumulates 4000 miles on his account, he will receive a plastic card together with a welcome package "Air Moldova Club" that includes Terms and Conditions. Please note that after you accumulate 4000 miles and receive your plastic card, you can claim miles for flights implemented with Air Moldova for 12 month before the registration in the program. In order to be able to claim these miles you should provide information regarding your flights by sending us email on ffp@airmoldova.md or by calling to our centre on: +373 22 57 65 30.
does not accumulate any Credit Miles during a period of 12 calendar months. In case of Air Moldova Club termination, membership to the programme is automatically cancelled. After your enrolment, you will collect Credit Miles every time you check in on Air Moldova flights. To get the automatic mileage credit, the Member must mention his account number whenever he books a flight, and show his card when he checks-in for his flight. The amount of Credit Miles you collect will depend on the flown distance and class of service. If there has been no activity in an Air Moldova Club account for 12 Calendar Months, the Air Moldova Club account is automatically removed from the system, and the Credit Miles accumulated deleted. for award services or free flights which the member receives under bonus programme. 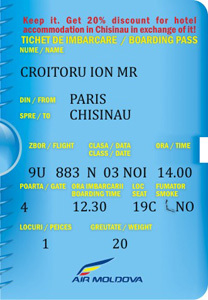 a ticket for which departure and arrival point (final destination) are different (example: Chisinau-Paris/Frankfurt-Chisinau), otherwise known as an open jaw journey, and are valid on Air Moldova flights only. Air Moldova Club award tickets are valid on Air Moldova flights only. When a Member has accumulated a sufficient number of Credit Miles to be entitled to an award, they must complete the appropriate request form, mentioning the beneficiary name. We may use your accumulated Credit Miles within two years from the date of departure. 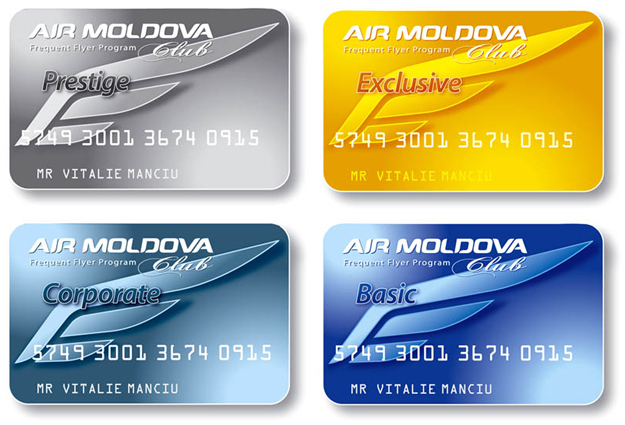 When the Member receives an award, his or her Air Moldova Club account is debited with the required number of Credit Miles corresponding to the requested award. Air Moldova Club Awards should be requested at least three weeks before the date of intended travel. The award request form must be mailed to the Air Moldova Club Service Centre or to any other Air Moldova office abroad, which will forward it to the Air Moldova Club Service Centre. Credit Miles are valid for 2 years from the date of travel. Members (or the award beneficiary) will be responsible for payment of any airport taxes, security, insurance surcharge or any other taxes, which are not included in the fare.